In April of 2014, Douglas Stranger left a lasting mark on the Bellingham music scene with the release of his debut album Railroad Ave. Consisting of six beautifully crafted songs, Railroad Ave went beyond simply highlighting Stranger’s abilities as a songwriter/storyteller; it showed the potential for a long and successful lifetime in music. Sadly, Stranger passed away a little over a month later. After his passing, his close friends set about recording At Eternity’s Gate – A Tribute to Douglas Stranger, which is nothing less than a loving celebration of Stranger’s memory and musical talents. Consisting of 26 tracks, ranging from Stranger’s unreleased material to covers of his music performed by fellow local musicians (including Stone Jones, Tad Kroening, Ken Selvidge), the album is more than your traditional tribute album; it is a raw, unfiltered, eclectic look at Stranger’s intense musical abilities and the lasting impact he’s had on the lives of those around him. In fact, because of this, the album is quite hard to get through in one sitting. Although the tracks feel like a chance for the individual performers (as well as the listener) to celebrate Stranger’s life, the sadness felt in his passing is undeniable. Intermixed with commentary from Stranger’s live performances, the included songs give a glimpse into his tremendously thoughtful personality, through both his own performances and through the singing of his lyrics by the featured performers. As a listener it is wonderful to listen to the snippets of Stranger’s live show and hear the pleasure and happiness he derived from writing songs and performing them to whomever was lucky enough to be in attendance. 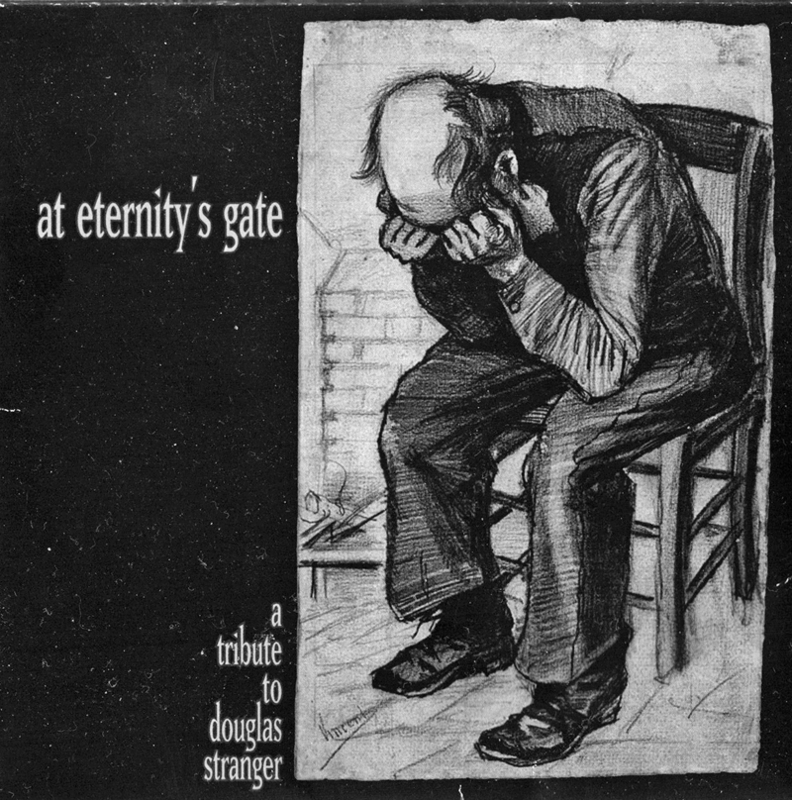 Given his death, it is difficult to refrain from becoming emotional when listening to his rendition of “Old Before Your Time” (Ray Lamontagne), but it’s apparent through the recording and release of At Eternity’s Gate… that those close to him would prefer to celebrate his life/memory than focus on the sadness of his passing. In addition, to listening to At Eternity’s Gate…, checking out Douglas Stranger’s performance’s on the YouTube series “Bellingham Basement Sessions” is highly recommended.